References: 1. Kamdi SP, Palkar PJ. Efficacy and safety of ferrous asparto glycinate in the management of iron deficiency anaemia in pregnant women. J Obstet Gynaecol. 2014; Early Online: 1–5.doi:10.3109/01443615.2014.930098. Accessed December 29, 2014 2. Pineda O, Ashmead HD, Perez JM, Lemus CP. Effectiveness of iron amino acid chelate on the treatment of iron deficiency anemia in adolescents. J App Nutr. 1994; 46(1,2):2-13 3. Data on File. Avion Pharmaceuticals LLC, Alpharetta,GA. 4. Bovell-Benjamin AC, Viteri FE, and Allen LH. Iron absorption from ferrous bisglycinate and ferric trisglycinate in whole maize is regulated by iron status. Am J Clin Nutr. 2000; 71:1563–1569. 5. Duque X, Martinez H, Vilchis-Gil J, et al. Effect of supplementation with ferrous sulfate or iron bis-glycinate chelate on ferritin concentration in Mexican schoolchildren: A randomized controlled trial. Nutr J. 2014; 13(71):1-10. doi:10.1186/1475-2891-13-71. Accessed January 5, 2014. 6. Scholl TO, Johnson WG. Folic acid: influence on the outcome of pregnancy. Am J Clin Nutr. 2000; 71(Suppl):1295S–1303S. 7. Unfried G, Griesmacher A, Weismueller W, Nagele F, Huber JC, Tempfer CB. The C677T polymorphism of the methylenetetrahydrofolate reductase gene and idiopathic recurrent miscarriage. Obstet Gynecol. 2002; 99(4):614-619. 8. Scholl TO, Johnson WG. Folic acid: influence on the outcome of pregnancy. Am J Clin Nutr. 2000; 71(suppl):1295S–303S. 9. Primacare™ Prescribing information, Avion Pharmaceuticals, October 2016 10. Prenate Mini® Prescribing Information, Avion Pharmaceuticals, January 2015. 11. Citranatal Harmony® Prescribing Information, Mission Pharmacal, November 2016. 12. Citranatal Assure® Prescribing information, Mission Pharmacal, November 2016. 13. Citranatal® 90 DHA Prescribing information, Mission Pharmacal, November 2016. 14. Vitafol Ultra, Exeltis Pharmaceuticals, March 2015.15. Concept DHA Prescribing Information, US Pharmaceutical Corporation, March 2017. 16. Dietary Supplement Fact Sheet: Vitamin D. Office of Dietary Supplements, NIH Web site. http://ods.od.nih.gov/factsheets/VitaminD-HealthProfessional/. Reviewed June 24, 2011. Accessed December 6,2016. 17. Basile LA, Taylor SN, Wagner CL, Quinones L, Hollis BW. Neonatal vitamin D status at birth at latitude 32072’: evidence of deficiency. J Perinatol. 2007; 27(9):568–571. *Most eligible patients will pay no more than $20 for each PrimaCare™ fill. After the first $20 out of pocket, PrimaCare™ covers the remaining co-pay up to $60. This offer is good for 12 fills. PrimaCare™ is a trademark of Avion Pharmaceuticals, LLC, all rights reserved. Sumalate® is a registered trademark of Albion Laboratories,Inc., covered by one or more claims of U.S. Patent Nos. 6,716,814; 8,007,846; and 8,425,956. 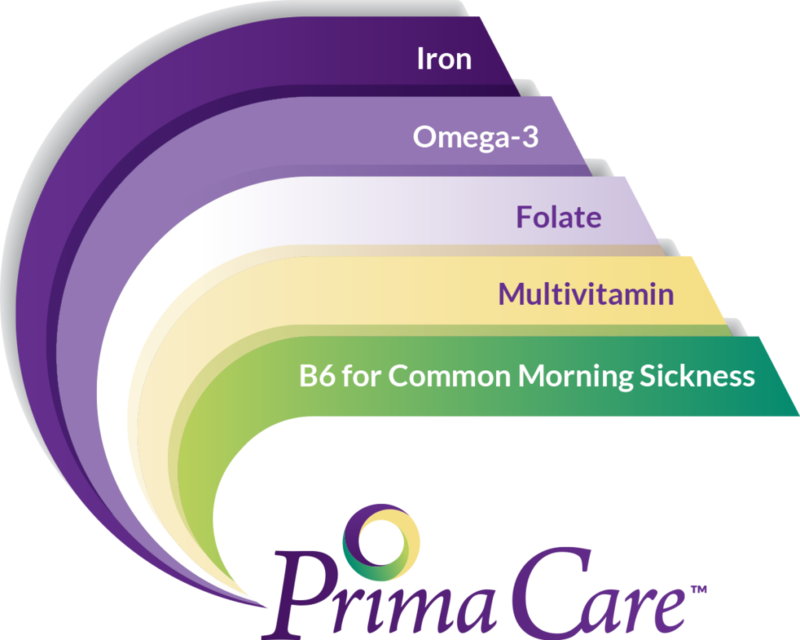 PrimaCare™ contains Quatrefolic® ((6S)-5, methyltetrahydrofolate glucosamine salt). The content of this website is the property of Avion Pharmaceuticals, LLC or those other parties as indicated. All rights reserved.